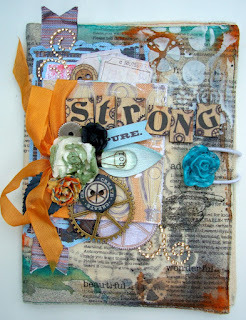 Do want to get your hands on a new Donna Downey Journal from Prima? If so, this class is for you! 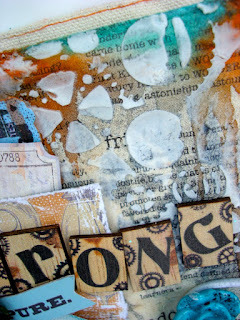 I am teaching a Mixed Media Album class on Friday, August 24th from 6-8pm at Stampin and Scrappin Time in Bridgeport, NY! We have spots available and LOTS of product to take home after the class. There will be left overs and you will finish the covers and a few pages inside with more to add to at home! I'll show you how to use Gelatos to add color, modeling paste for texture, and using new Prima stencils and the Craftsman line products!!! This is an amazing class! It's $52 for all the materials and more. I'll have a doorprize of one of Prima's brand new Hardcover Kraft paper album for one lucky participant! You don't want to miss out! Call the store now to reserve your spot... 1 (315) 633-5325! It's this Friday at 6pm! Here's a peek at some of the modeling paste and Gelatos! Also, my Journey Bag class has been rescheduled for September 8th from 2-4pm. It is all Prima and Faber Castell products and very generous! The cost is $52 for the class and materials. Both classes require a basic kit of scissors, paper cutter (although the store has one), pencil, liquid adhesive, and distress tool. It would be helpful if you can bring a non stick mat and a brush with you as well! Don't delay! These classes are FULL of Prima goodness that is brand new from CHA 2012! The Rubber Cafe Blog Hop! I'm a Mom, daughter, sister, friend, teacher, artist, scrapper, shopper, and wife. I'm sure there are many other things I am, but these are the ones that most define me. Metallic Textures Mini Book and a winner!